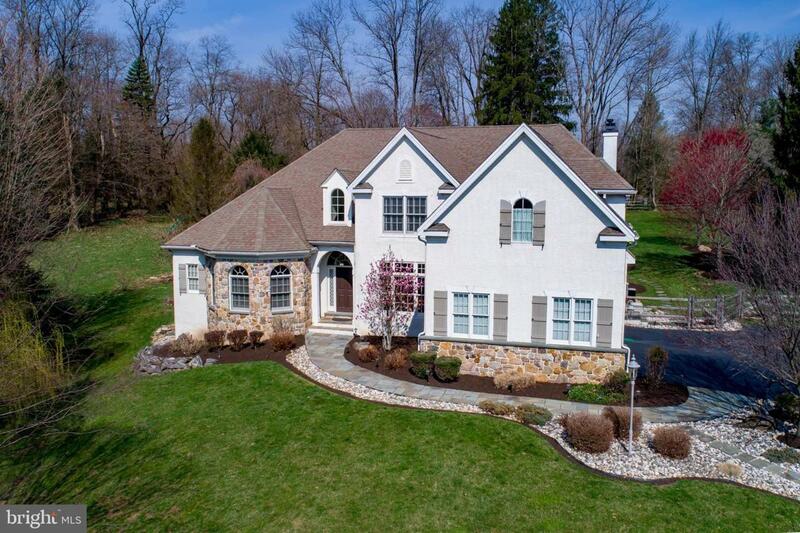 You'll love this elegant custom built executive style home located on a premier 1 acre level cul de sac lot in a private community of 7 homes. The open floor plan makes it perfect for entertaining! With first floor offering an incredible first floor master suite with private entrance to your relaxing hot tub retreat! Master bath includes a beautiful tile shower, 2 vanities, private water closet, jacuzzi tub and 2 walk in closets. 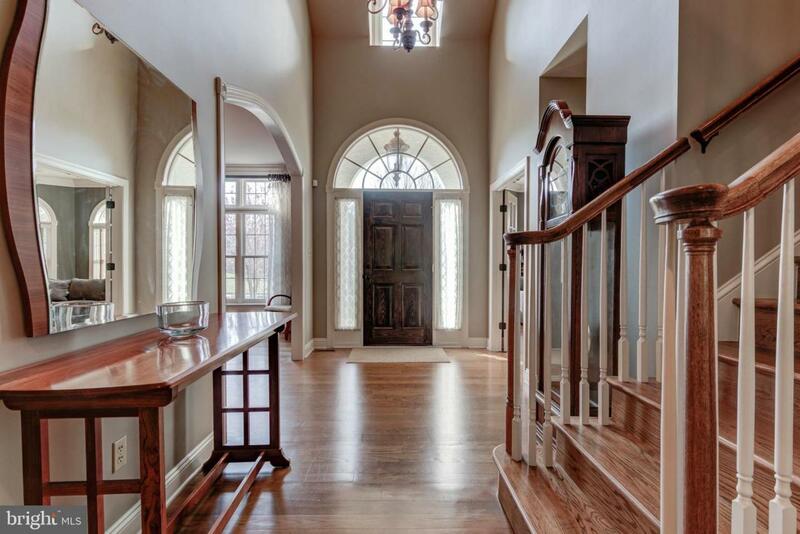 Dramatic 2 story foyer to greet your arrival and gracious formal dining room for those holiday dinners. Working from home?? There is a first floor office with large windows and french doors. The exquisite gourmet kitchen is equipped with quartz countertops, tumbled marble backsplash, larger center island, double ovens, professional stainless appliances, 5 burner stove and recessed lighting and flows into the large fireside eating area which opens to the recently added all season sunroom addition ($100k) with heated flooring and abundance of windows allowing for all of that beautiful natural sunlight! This sunroom leads to the fenced rear yard with slate patio, stone walls and sitting walls, professional landscaping and landscape lighting. There is also an open 2 story family room with fireplace, a laundry room and 2 powder rooms to complete this level. Second floor offers hardwood flooring, 4 very nicely sized additional bedrooms and 2 jack and jill bathrooms. Also possibility for a 2nd master suite on upper level. Full basement is huge and waiting for your finishing touches. 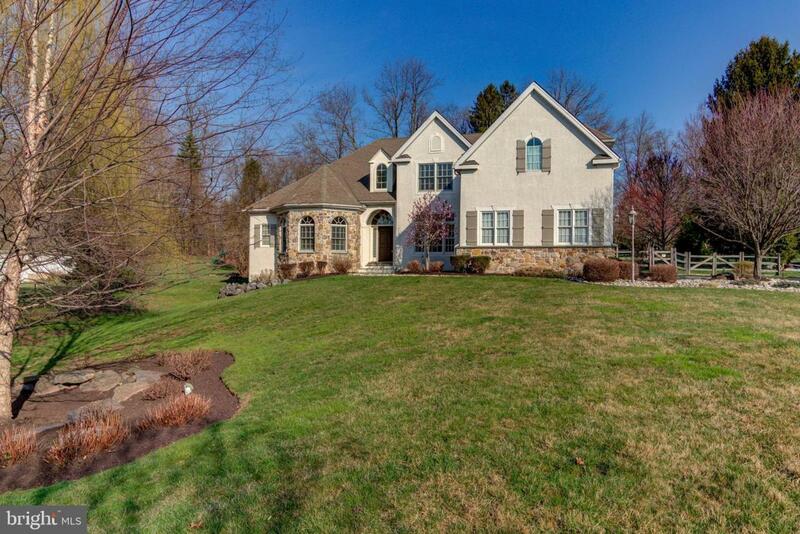 3 car garage and whole house generator complete this move in ready home. Conveniently located to Phila Airport, Delaware and major routes (Rt 202, Rt 95, Rt 476 & Baltimore Pike). 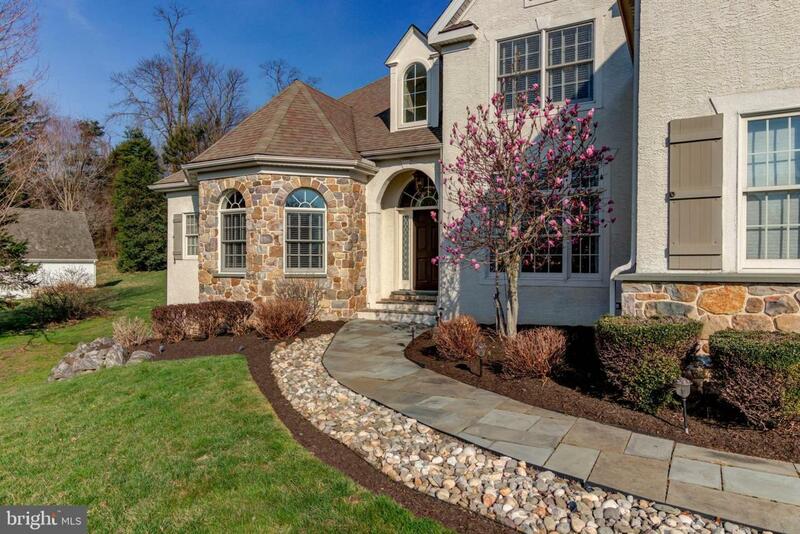 Listing courtesy of Re/Max Preferred-West Chester.